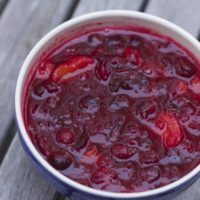 As traditional as pumpkin pie is to Thanksgiving, most people feel they need to have some Cranberry sauce on their tables as well. Please don’t tell me your recipe involves opening up a jar and dumping or sliding the jelly type into a bowl. 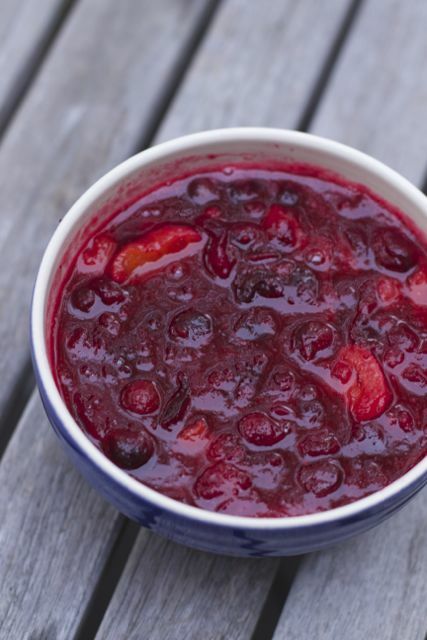 Fresh Cranberry sauce is super easy to make and well worth it. We usually eat our sandwiches the day after Thanksgiving with the extra cranberry sauce. It is a tart side dish that compliments Turkey so much. 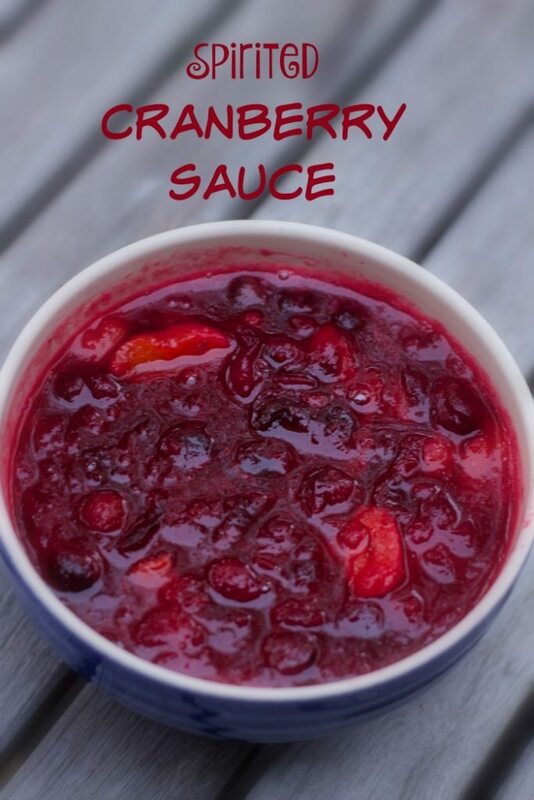 While it is easy to serve the canned variety, you will be amazed how easy homemade cranberry sauce is too. I have tried several recipes in the past 12 years and I think I have finally settled on this one. The best part about it you can do it a week in advance and then just dump it into a bowl on Thanksgiving. It is an unexpected flavor of the soaked apricots that make it a little different than your traditional cranberry sauce recipes. My kids actually look forward to it at the table and leftovers are not thrown away. This year I bought a 48 oz bag of cranberries at Costco, $5 I think. Don’t worry you don’t need to make 4x the recipe, just freeze the rest for christmas time or use some in a flower or candle arrangement. Back to the recipe. The best part of this recipe from Cooking Light, if you don’t want it spirited use orange juice instead. Just be sure and start the process the day before you plan on making it. The apricots need to soak for 8 hrs. Easily doubled or tripled!! I actually did 1 and 1/2 recipes, I hope it is enough! Combine apricots and sherry in a small bowl; cover and let stand 8 hours. Combine water and sugar in a medium saucepan; bring to a boil. Add apricot mixture, honey, and cranberries. Cook over medium heat 8 minutes or until slightly thick. Spoon mixture into a bowl; cover and chill. « How to Give your Holiday Wardrobe a Lift! I love cranberries! My other family members, not so much. I always make mine by hand. It is easy. I’ve been making my own cranapple juice. It’s so easy: 4 apples, 1 cup of cranberries and 2 cups of water. No sugar needed.